The crowd chanted "Down with US" and "Death to Israel" during Sunday's rally in the capital, and state TV says similar demonstrations were held in other cities and towns. Tehran: Thousands of Iranians rallied in Tehran on Sunday to mark the 39th anniversary of the U.S. Embassy takeover, as Washington restored all sanctions lifted under the nuclear deal. The crowd chanted “Down with U.S.” and “Death to Israel” during the rally in the capital, and state TV said similar demonstrations were held in other cities and towns. Iranian students stormed the embassy shortly after the 1979 Islamic Revolution, taking 52 Americans hostage for 444 days. The U.S. cut off diplomatic relations in response. Iran’s clerically-led government celebrates the embassy takeover every year as a decisive blow against the United States, which had supported the autocratic rule of Shah Mohammad Reza Pahlavi. The embassy compound, widely known as the “den of spies,” is now a cultural center. Anger and distrust of the United States is surging again following President Donald Trump’s decision to withdraw from Iran’s nuclear deal with world powers despite Tehran’s compliance with the agreement, which was negotiated under the Obama administration. 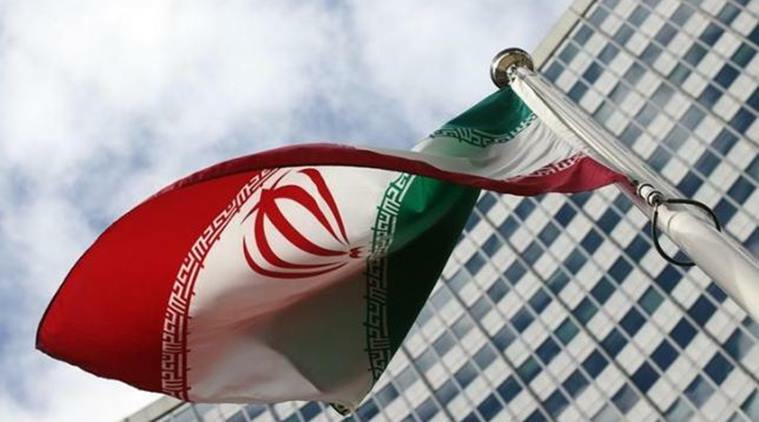 On Friday, the Trump administration announced the restoration of sanctions on Iran’s shipping, financial and energy sectors, the second batch of penalties to be restored. Iran is already in the grip of an economic crisis, and has seen sporadic protests in recent months as Iranian officials have tried to downplay the sanctions and their effects. At a gathering on Saturday, Iran’s supreme leader, Ayatollah Ali Khamenei, portrayed the sanctions as part of a long tradition of American hostility toward the Islamic Republic, which he said had nevertheless prevailed.